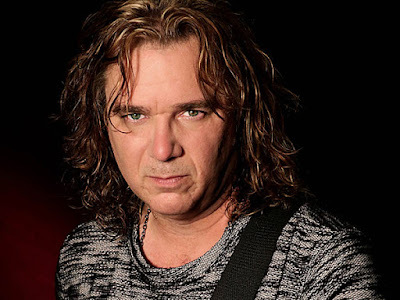 Prog Icon Billy Sherwood To Release Solo Album and Career Retrospective – Now Available as a Direct Sales Offer Only! Prog icon BILLY SHERWOOD, best known for his work with YES and CIRCA:, has made available his studio album DIVIDED BY ONE and a compilation called COLLECTION with a hand autographed postcard! These two CDs and the signed postcard are ONLY available directly from www.billysherwoodcollection.com ahead of a mainstream release in October 2015! Orders through this website are being sent out NOW! 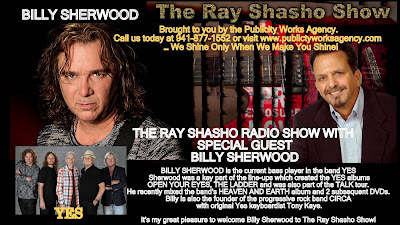 BILLY SHERWOOD is the current bass player in the band YES and will be touring with the band throughout 2015. Billy Sherwood was a key part of the line-ups which created the YES albums OPEN YOUR EYES, THE LADDER and was also part of the TALK tour. He recently mixed the band’s HEAVEN AND EARTH album and 2 subsequent DVDs. 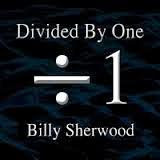 DIVIDED BY ONE is Sherwood’s seventh solo album and this edition through Cherry Red is its first release on CD. 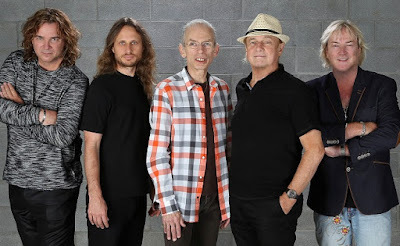 This CD release will be eagerly greeted by YES fans especially in light on Sherwood’s recent return to the band in mid-2015. COLLECTION is the ideal introduction to Billy Sherwood’s solo career and includes TWO EXCLUSIVE TRACKS. This edition through Cherry Red is its first release on CD. 7. What Was The Question? 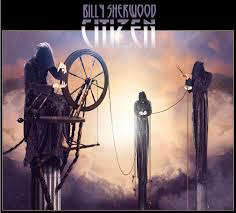 On November 6, 2015, Frontiers Music Srl will release Billy Sherwood's latest concept album entitled CITIZEN. Billy Sherwood created this concept album based on a lost soul that is reincarnated into various periods of history. "I was inspired by the notion that General Patton believed he was reincarnated on various battlefields through time; I wanted to take that concept even further." As the songwriter/producer, Billy placed the citizen character into significant moments of history. The lead off track is called “The Citizen" which sets the stage for what's to come on the recording. “The Citizen” features Billy's longtime friends and members of the legendary Progressive Rock band Yes: bassist Chris Squire and former Yes keyboardist Tony Kaye.